Following the trouble in Marseille, UEFA has said Russia will be disqualified from Euro 2016 if there is more violence by the fans inside the stadiums. 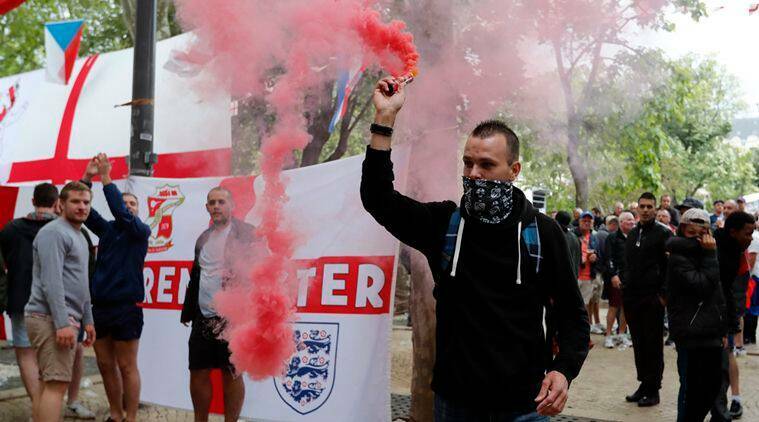 Russia supporters attacked England fans at the final whistle of their teams’ game at Marseille, while England and Wales fans had minor clashes with Russia supporters in Lille during the first week of Euro 2016. “I’d like the supporters to go on backing us,” Smolov said as he prepared for Russia’s final Group B match against Wales on Monday. “As for everything that goes on around us, there have been a number of videos uploaded on the web. Following the trouble at Marseille’s Stade Velodrome, UEFA has said Russia will be disqualified from Euro 2016 if there is more violence by the team’s fans inside stadiums in France. Russia coach Leonid Slutsky adopted a more conciliatory stance when asked about fan behavior. “Any disorder like that violence in Marseille, that’s all in the past,” Slutsky said. “A number of measures have been taken to make sure things go on in a civilized fashion. Wales coach Chris Coleman praised his country’s supporters, asking them to “just do what you’ve been doing.